Full disclosure to begin with: Planescape: Torment is my all-time favorite game. Invariably, it's also the one that — when I'm asked by friends to name the title that tops my list — receives blank looks and the occasional "huh?" It's not surprising. The 1999 role-playing masterpiece (yes, I believe the superlative is absolutely warranted) bombed financially. Less than half a million units were shifted, despite it picking up a slew of accolades. Many gamers didn't know what to make of it, since it turned traditional role-playing on its head. Your character not only couldn't permanently die, but his death was necessary to advance the plot. 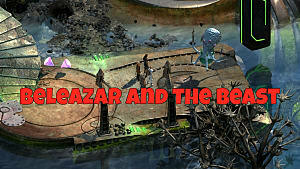 The combat took a back seat to the story, and the text-heavy aspect of the game would certainly have put many off. The word count was over 800,000 or, to put it into perspective, just under twice as many words as A Storm of Swords, the biggest book in George R. R. Martin's epic series A Song of Ice and Fire. 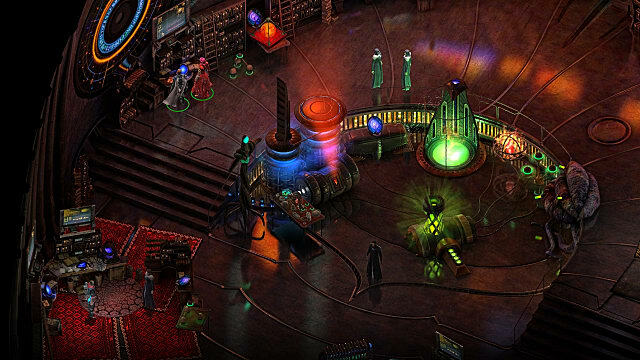 Yet, Planescape: Torment developed something of a cult following in subsequent years. 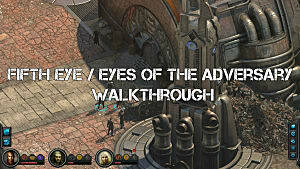 Players looked for something a bit more cerebral following Icewind Dale's dungeon-fest, and came back to Black Isle Studios' game to see what the fuss was about. Like me, the ones that understood what designers Chris Avellone and Colin McComb were trying to achieve made an effort to spread the word. To this day, I find myself taking every opportunity to promote this overlooked classic to anyone who will listen. Despite its later success, I didn't think it would ever get a sequel. It was esoteric, massively involved, and far too financially unsuccessful to justify a return to the world of Sigil. But then Kickstarter happened. inXile Entertainment (including writer Colin McComb), were riding a wave of success off the back of Wasteland 2. 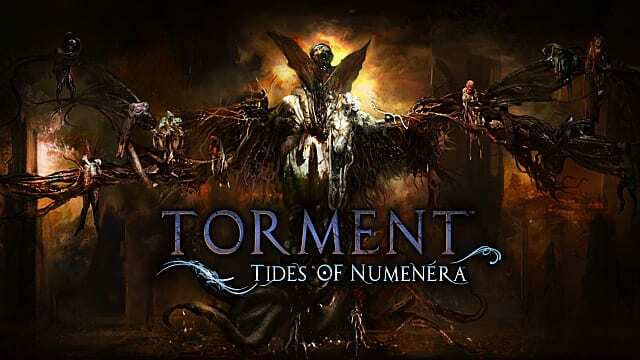 A sequel to Planescape: Torment was pitched, and although the studio was unable to acquire the Planescape licence — and Sigil was off the table — they shifted the setting to Monte Cook's world of Numenera. A spiritual successor was born. 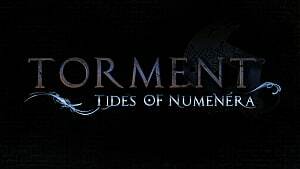 Torment: Tides of Numenera took a mere six hours to fully fund on Kickstarter, and then broke records before hitting almost five times its monetary goal. Aside from two of the original designers, a staggering array of talent is on board, including many of the crew that worked on the first game. Much of the music is being handled by Planescape: Torment's Mark Morgan. And it's all headed up by Brian Fargo, who also oversaw a few games you may have heard of: The Bard's Tale, Fallout, Fallout 2 and Baldur's Gate. So, on paper, the game has all the makings of an instant hit. Kickstarter removed publisher interference, and let the team ask the fans — and let's face it, the game wouldn't exist without them — what they most wanted to see in a sequel. The stretch goals speak for themselves. But what looks good on paper might not manifest itself in the game that I want to play. If it is going to be a true successor, it's got to come out swinging. Every aspect has to click, each line of dialog has to contribute to the game world, and all of the playable characters need to be special. 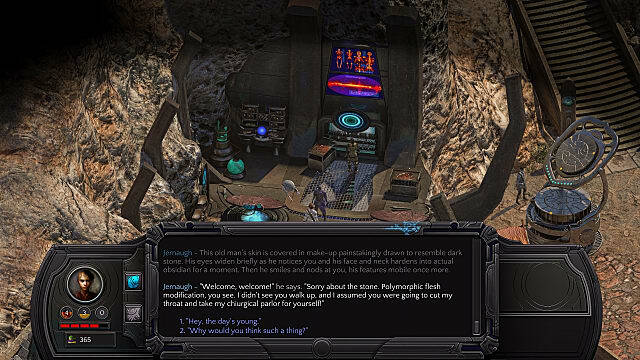 In Planescape: Torment you played The Nameless One, an immortal who awakens on a mortuary slab. Each time you died, you returned to that slab to start over, but at the cost of another's life. Your entire quest was to discover what caused your immortality, and how to resolve it. The game threw philosophical questions at the player throughout their journey, and from a personal perspective it challenged me to think not only about the events that lead to The Nameless One's fate, but my actual life goals. There was some pretty deep philosophizing littered amongst the story choices, and given the new game is being marketed as a "philosophical role-playing game," there's plenty for me to be excited about. In Torment: Tides of Numenera you will play the Last Castoff, one of the remaining avatars that was used and discarded by a man who acquired the ability to cheat death. By moving his consciousness to a new host, he became known as The Changing God, and moved through the ages. As he left each successive Castoff in search of a new body, a fresh consciousness imbued the shell he abandoned, resulting in dozens of Castoffs scattered across the lands. When The Changing God's bitter enemy the Angel of Entropy awakens with the intent of destroying him, you and the rest of the Castoffs are targets for the Angel's wrath. It's intriguing, but the immortal body-hopping narrative draws from a number of tropes that have been around for decades. What is more important is how these tropes are used, and it's here that Tides of Numenera could stamp its claim as a worthy follow-up. The titular Tides refer to concepts such as Justice, Passion, Insight and Fame, all of which could be skewed towards either good or evil. The focus this time around is the impact that you have on the game. Your interactions with the denizens of the world will dictate the path your character takes. For instance, Insight may mean being able to recognize how to help someone, but refusing to do so and pleading ignorance. 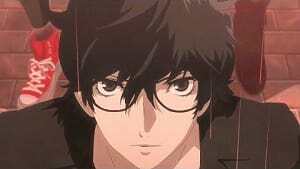 Justice could refer to holding someone to account lawfully, or wreaking your own type of vengeance upon them. 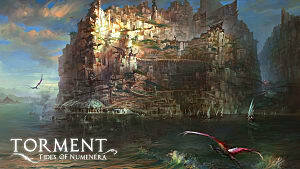 Alongside the Tides are the relics known as the Numenera, left behind by ancient beings. These are what allowed The Changing God to continue living beyond his time, and they are scattered throughout the world. They can be used for good or ill, but regardless of how they are utilized, every action will count towards your legacy. This is perhaps the most exciting prospect of the game for me. Planescape: Torment offered a host of individual stories, but you were ultimately headed towards a fixed goal -- discovering your true nature. 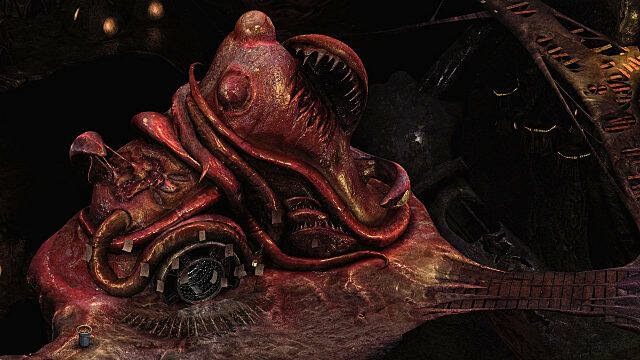 Tides of Numenera is being released under the guidance of people with collective decades of experience in writing, let alone story-branching. If the scope of the potential choices and outcomes is to be believed, then the replayability factor is going to be off the chart. What Does One Character Matter? I was spoiled by Planescape: Torment, to the point where playable companions in recent RPGs have simply not measured up. Don't misunderstand me, I loved Pillars of Eternity. But almost two years on I'm struggling to recall a single party character, other than that shouty guy with a staff who liked setting things on fire. Tyranny's cast were even less memorable. Yet, two decades later — after only two playthroughs of Planescape: Torment — I can still recall Morte, Fall-From-Grace, Annah, Ignus... The reason? They were not only interesting but well written. Morte was a sleazy floating skull who could literally swear people to death. Ignus was a levitating man made from fire. Fall-From-Grace was an emotion succubus. All of them had their motivations and arcs. All of them left their mark on me. 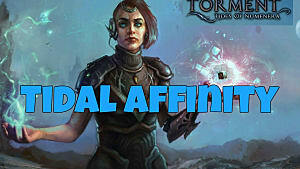 Will Tides of Numenera do the same? Possibly. The line-up includes an oracle who speaks through the vessel of a broken-minded man, a priest who can attack people with living tattoos, and a multi-dimensional magician, trapped in time. All of them will need something from you... and all of them can be used for your own selfish ends if you wish. If their personalities are imbued with the same attention to detail as that of their predecessors, then we could be looking at something very special. "No Wonder My Back Hurts; There's A Damn Novel Written On It"
I enjoy reading, which is just as well since Tides of Numenera's word count is going to trump Planescape: Torment by over 200,000 words. Yep, it looks like there will be over a million words of text crammed into the game. Given the density of the first game's prose is one of the reasons for its underachievement in the market, is an even bigger game likely to impact sales? You have to factor in a couple of points when considering this. 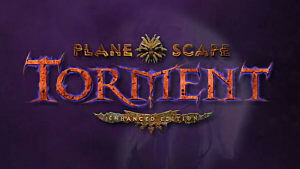 Firstly, no-one was expecting Planescape: Torment. It came out of left field, dazzled us with its reams of text (some may consider it "verbiage", I call it "world building"), perplexed traditional RPG gamers with its comparatively light focus on combat, then disappeared. This time around, we know exactly what to expect. In fact, fans have demanded more. 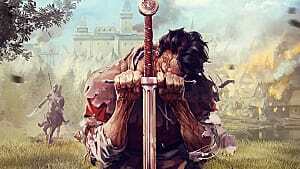 Kickstarter means that there's no publisher interference, and the team can work to deliver the game that they not only know fans want, but which they themselves want to play. The story and the characters are the key to that process. Secondly, you won't be exposed to a million words of text on your playthrough. It's unlikely you'll ever read everything that's been written for the game. Conversational branches are so packed with choices, responses and outcomes that it would likely require you to go through the game hundreds of times, trying out every conceivable party configuration, attempting every possible iteration of any given quest, and keeping track of each individual result. There's a reason that the development team had to lock down individual areas in the game, and create a monumental piece of dialogue-tracking software to keep on top of it all. 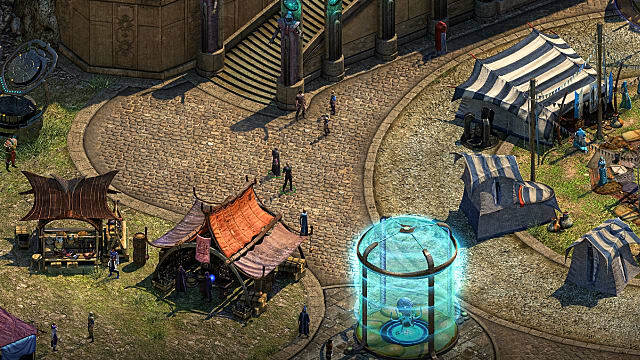 Like many gamers, I had my doubts about Tides of Numenera. Some still linger. Have the team tried to cram so many ideas into the game to make Something Meaningful that it comes at the cost of the overall product? Will the mooted area lockdowns which Colin McComb has discussed give the game more of a staccato feel? How will the combat work? Most importantly, will the endings not only truly reflect the choices you make, but be as equally meaningful? 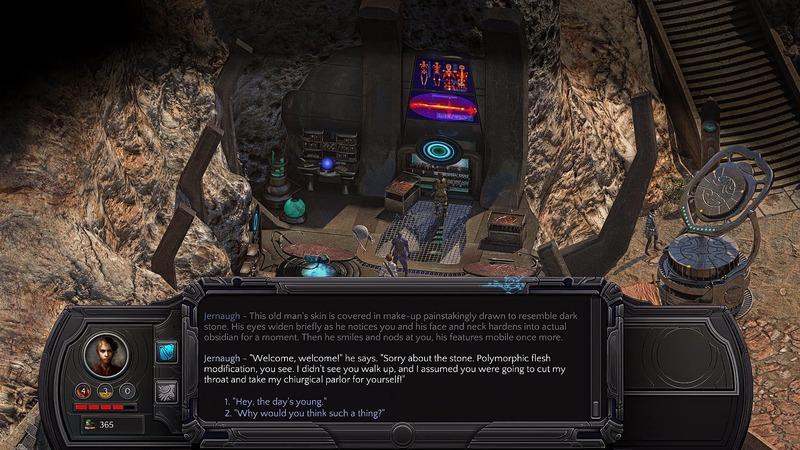 These question won't truly be answered for another few weeks, but the more gameplay videos inXile release, the more confident I am that Tides of Numenera is going to be a success. The locales look otherworldly and beautiful; their inhabitants are bizarre and unique. It's taken 18 years, but I'm quietly optimistic that there may finally be the possibility of playing the successor I've been hoping for. 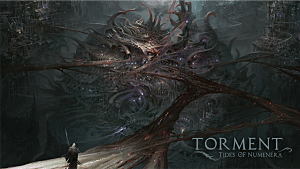 Do you think Torment: Tides of Numenera will be a worthy successor to Planescape: Torment? Are you excited for its release, or do you think it'll never meet expectations? Let me know in the comments!